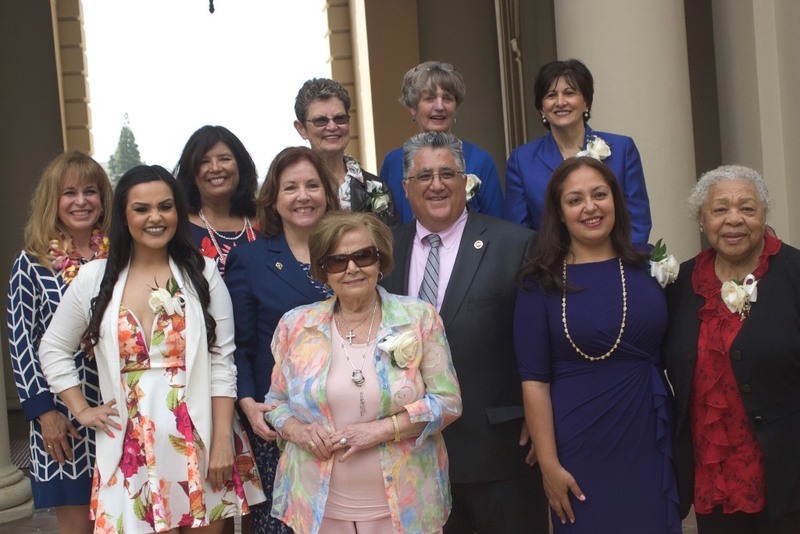 On Sunday, March 26, Senator Anthony J. Portantino (D – La Cañada Flintridge) had the privilege of honoring ten exemplary women from Senate District 25 in the courtyard of Pasadena City Hall. The California State Legislature first recognized March as Women’s History Month in 1987 and has continued the tradition. Each year members of the State Legislature recognize the exceptional women in their district with a celebration commemorating their efforts. This year’s honorees of SD25 are different in age and unique in their advocacy. The strength of their efforts is reflected in their success and their life accomplishments. Alma Hernández — Glendale, Executive Director for SEIU California, an organization dedicated to electing candidates and passing policies that benefit SEIU’s 700,000 members and their families in California. Alta Skinner — San Dimas, Alta Skinner is a community advocate, a compassionate volunteer and strong supporter of children with special needs in education. Angela Aguirre — Pasadena, Angela Aguirre is a Chicana Feminist poet who enjoys mentoring youth and using her creativity in meaningful ways. Claire Bogaard — Pasadena, One of the founding members of Pasadena Heritage, a community based historic preservation organization. Dr. Geraldine Perri — Glendora, Superintendent and President of Citrus College since 2008. She has over 30 years of college administrative and faculty experience. Juanita De Vaughn — Altadena, A natural leader, she has dedicated her life to her community and its needs. Lisa Pitney — La Crescenta, Vice President of Government Relations of the Walt Disney Company since 1996. She represents the company to city, county and state governments throughout the U.S.
Mary Najarian — Glendale, A passionate supporter of her Armenian community, always responding to its call. Sheri Bonner — Pasadena, Sheri Bonner has been a part of the Planned Parenthood family for over 25 years and has served as President and CEO of Planned Parenthood Pasadena and San Gabriel Valley.